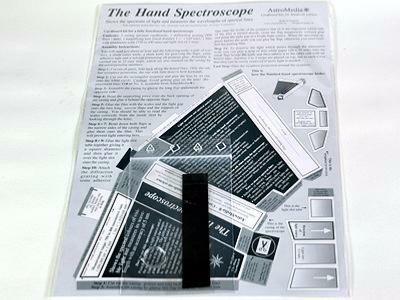 This cardboard kit will enable you to construct a fully functional hand spectroscope. 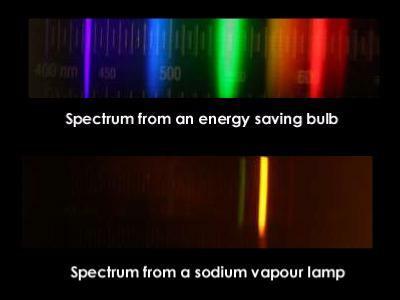 You will be able to view the light spectrum, and also measure the wavelengths of spectral lines. The kit contains the cardboard case for the spectroscope, a diffraction grating with 900 lines per mm, an eyepiece lens, a film with a nanometre scale (750 to 440 mm) and a 0.3 mm light slit. 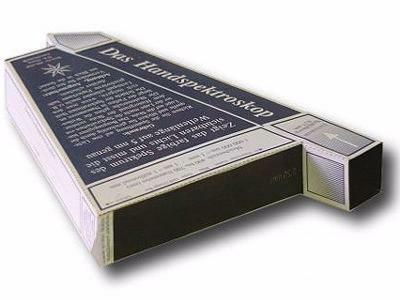 Construction of the spectroscope will take about an hour, and you will need the following tools - a pair of scissors, a sharp cutting knife, a blunt knife for making grooves so the flaps fold neatly, some adhesive tape and a solvent containing all-purpose glue.Full instructions are included. Very precise spectroscope, I used it while teaching and compared with a more sophisticated spectroscope, the difference never excede 5 nm. A bit smaller and more fragile than I expected, but it works well. Good article and a good price. I was expecting something more than a cutaway. The spectroscope works nicely, i'm glad i bought it. Works well, and is fun to use.